The two operating systems i am running are windows 10 (the preferred server), and the other one is Linux mint 18.1 (the preferred client). Both are 64-bit. I have synergy Pro version 1.8.8 on both of them. 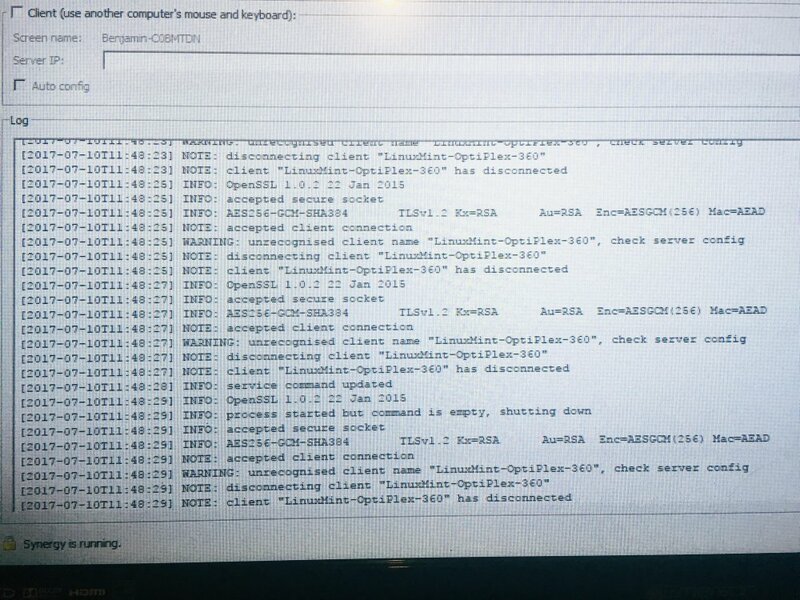 The windows 10 is on a wireless network called "Ben's Wifi" and the Linux machine is on a wired connection which is the same. The error "unrecognised client name" refers to a either a typo error when adding the screen name of your client on your server configuration interface or not able to add it at all. Please check Getting started with Synergy knowledge base article for steps on how to do an initial configuration.